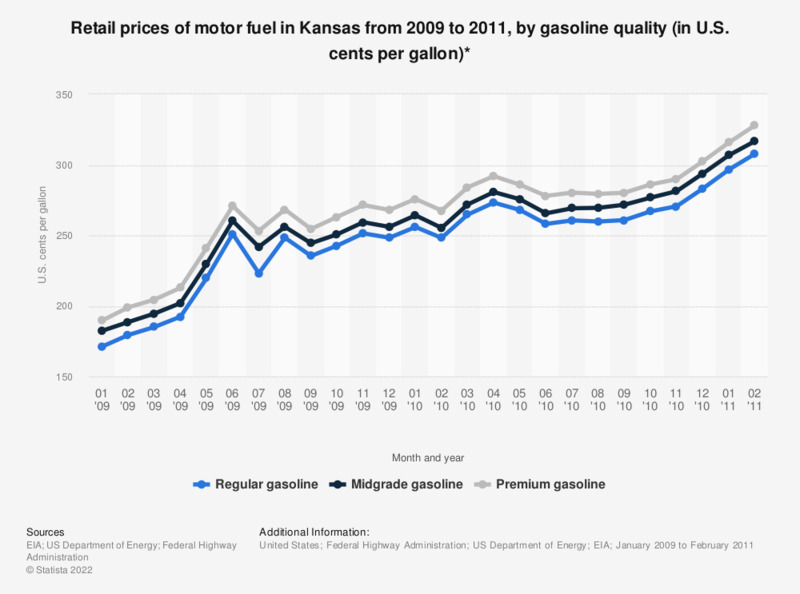 The statistic shows the retail prices of motor fuel in Kansas from 2009 to 2011, by gasoline quality. In February 2010, one gallon of premium gasoline cost 267.6 U.S. cents in Kansas. One year later, in February 2011, one gallon of premium gasoline cost 328.0 U.S. cents.